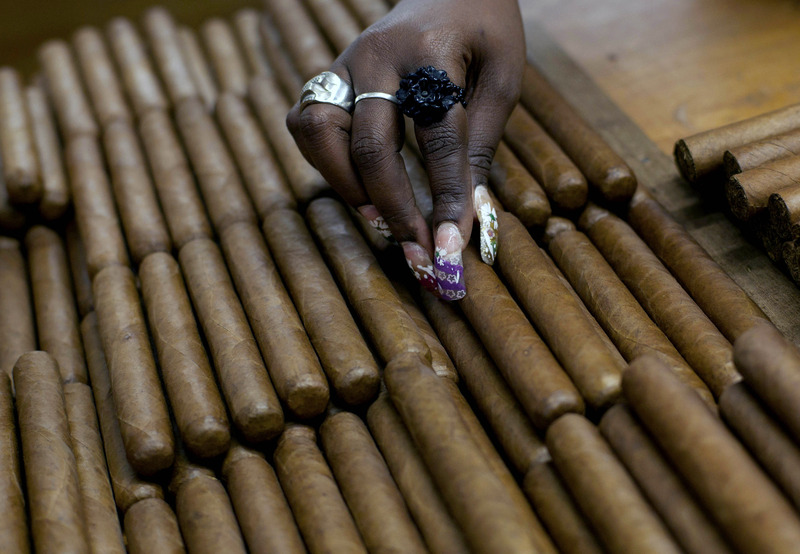 Will the U.S.-Cuba policy shift mean access to Cuban cigars? With news that the U.S. and Cuba will work to reestablish diplomatic relations, people interested in trading good with the island nation have reason for hope, including those who long for the forbidden taste of a Cuban cigar. Congress must still approve lifting sanctions, travel restrictions and trade embargoes, but one of the provisions of the agreement announced Wednesday would allow travelers to the U.S. with $400 in Cuban goods, including tobacco and alcohol products worth less than $100 combined. The editors of Cigar Aficionado magazine seemed elated at the development, saying in a statement it promised "something bigger to come." "For cigar smokers in America, Cuban cigars have long been the forbidden fruit. The cigar business was born in Cuba, and cigars made in Havana have a worldwide reputation for excellence," wrote Marvin R. Shanken, the magazine's editor and publisher. "We yearn for the day when our readers can have the opportunity to legally buy and enjoy cigars from every country,"
Cigar bar owners in the U.S. are also excited about the potential of once again being able to import the stogies for smokers. "It's something people look to as a delicacy, we get requests for it all the time and obviously we cannot sell them yet," Lee Ringelheim, owner of SoHo Cigar Bar in New York, told CBSN. "I don't know how long it would take, but once it happens, I think it would be a big boom for the industry at large."